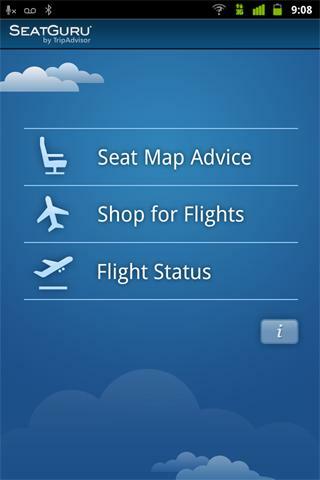 Pick the best seat on the plane, find low airfares, and get real-time flight status alerts with the free SeatGuru(R) app – all from the ultimate source for airplane seating advice, in-flight amenity information, and airline recommendations.Whether you’re at the airport or on the go, SeatGuru is now optimized for your Android phone. 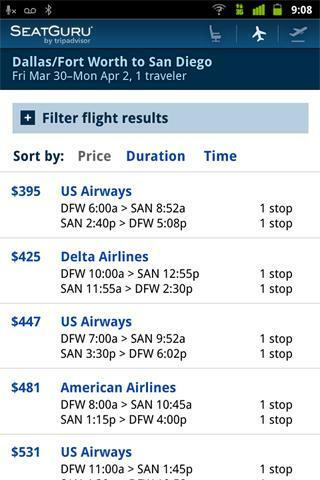 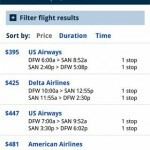 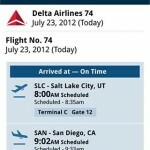 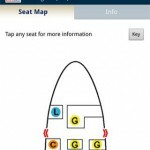 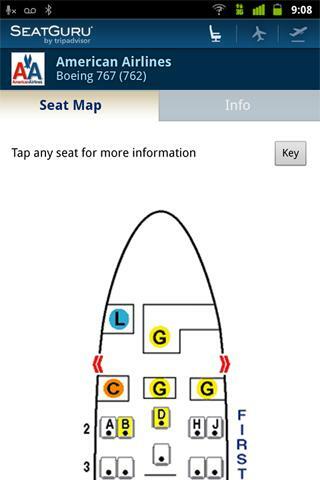 The free app lets you access over 700 seat maps from nearly 100 airlines. 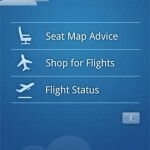 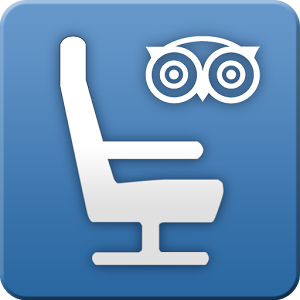 It features advice and insights drawn from over 45,000 passenger reviews, so you can always find the best seat before you fly.With the SeatGuru app, you can now shop great low airfares from low-cost carriers, online travel agencies, and airlines themselves to find the right flight for you at the lowest price. 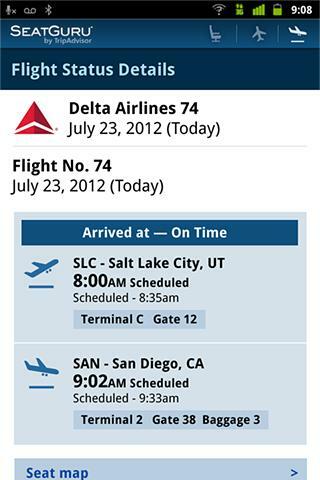 And you also have access to our flight status alerts which allow you to track arrival times, delays, and other important flight information.